Video editing on iPhone 3GS wont overwrite the clip over the original when you are editing a clip. A new option for checking tethering data statistics. iPhone will now vibrate whenever you switch to the mode where you can move and arrange icons on the iPhone home screen. Improvements in the performance of Compass on iPhone 3GS. Directional orientation in Google Maps app is now more accurate. Copy/Paste support for address book and numeric keypad in Phone application. “Fraud Protection” toggle has been added to settings under Safari. iPhone boot time is now faster. Password-locked phones will now ask for a PIN, the first time the device is plugged into a new computer for syncing. New APIs to enable third party apps to access videos and edit them. Developers can now work with an iPhone wirelessly (WIFI) instead of having to connect it to their development computer via USB. Non-destructive video button names changed to Trim Original and Save as New Clip, this should help clear up the confusion caused by the original names Save and Save a Copy. Support for copy/paste of videos into email. Video attachments can now be saved into photo album. MMS support for AT&T customers. 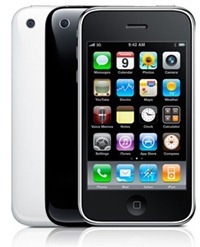 The final version of iPhone OS 3.1 firmware is expected to be available for download on September 9. Stay tuned as we will bring you all the updates right here when the “Rock and Roll” event goes live this Wednesday! UPDATE: iPhone OS 3.1 firmware has been announced and can be downloaded for free for iPod touch, iPhone 2G, iPhone 3G and iPhone 3GS from here.